If you have the daunting task of planning a multi-family vacation with friends or relatives, a vacation rental is the place to start! 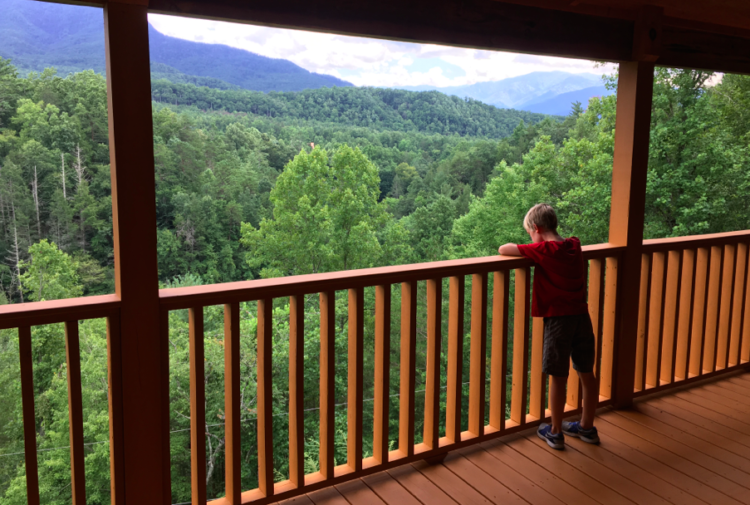 Read about our Big Family TravelingMom’s experience with a luxury cabin rental near Great Smoky Mountains National Park. View from the second story balcony of a HomeAway.com rental cabin, near the View from the third floor balcony of our rental cabin, near the gateway to Great Smoky Mountains National Park. Photo by Heidi Gollub, Big Family TravelingMom. Every year, I take a mini vacation with my childhood best friend. She travels from Maryland, I head out from Texas. We meet somewhere amazing in the middle for a kid-free weekend of relaxation and reconnection. This means our children rarely see each other, and we’d love for them to be friends as well. 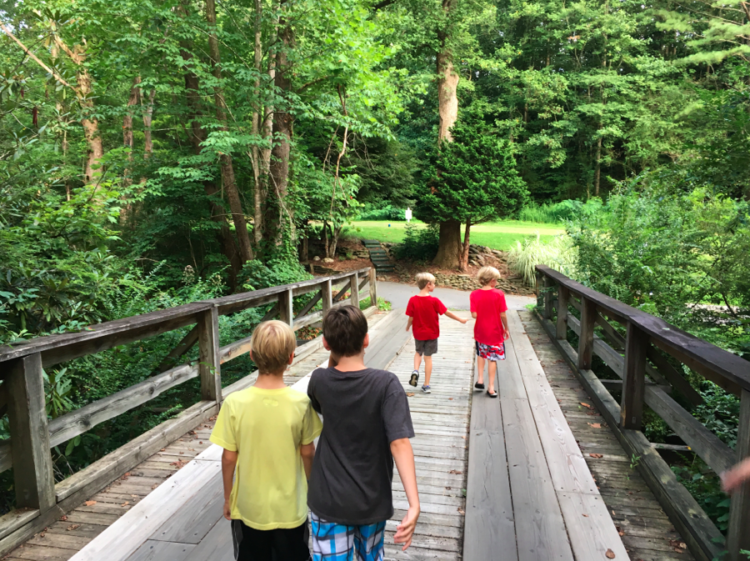 This summer, my friend suggested we plan a dual-family getaway, with all of our kids in tow. Our kids would finally get to know each other by hanging out together. She has two children and I have five, so our multi-family getaway was bound to be a wild adventure. But how to find the perfect destination? 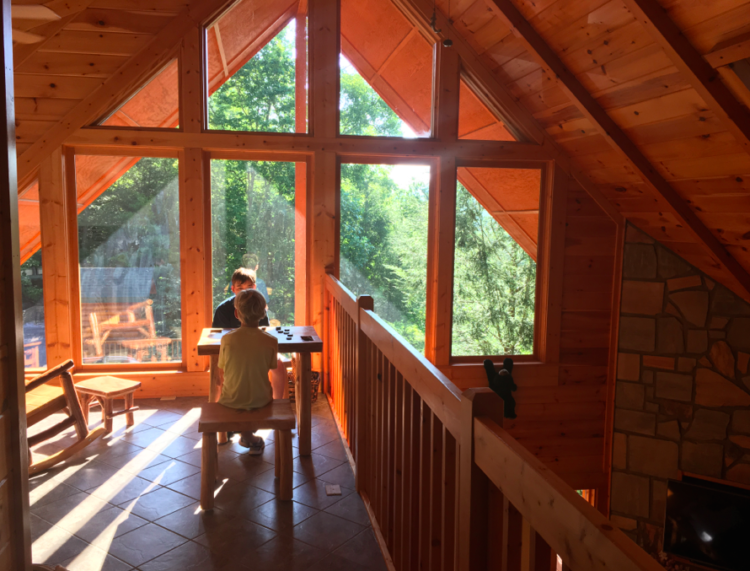 Three-story rental cabin near Gatlinburg, Tennessee. Photo by Heidi Gollub, Big Family TravelingMom. Our getaway would be much more fun if we all stayed in a house together. That’s when I logged onto HomeAway.com to search for interesting rental properties. I found endless possibilities. The site is an amazing place for daydreaming for your next vacation! 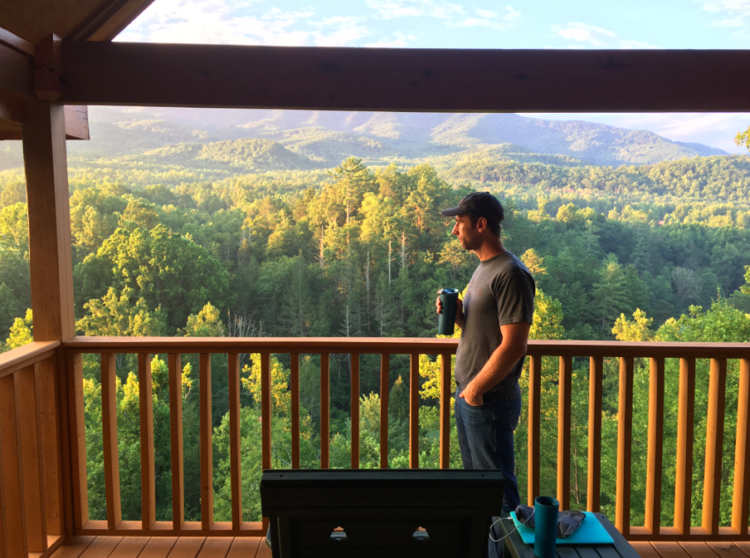 Eventually, after searching through photos, floor plans, and reviews galore, I honed in on an incredible luxury cabin in Gatlinburg, Tennessee, the gateway to Great Smoky Mountains National Park. I knew from the photos that the cabin would provide fun for all the kids and relaxation for the adults. Plus, with three stories, everyone would have a bed and enough room to spread out and play! 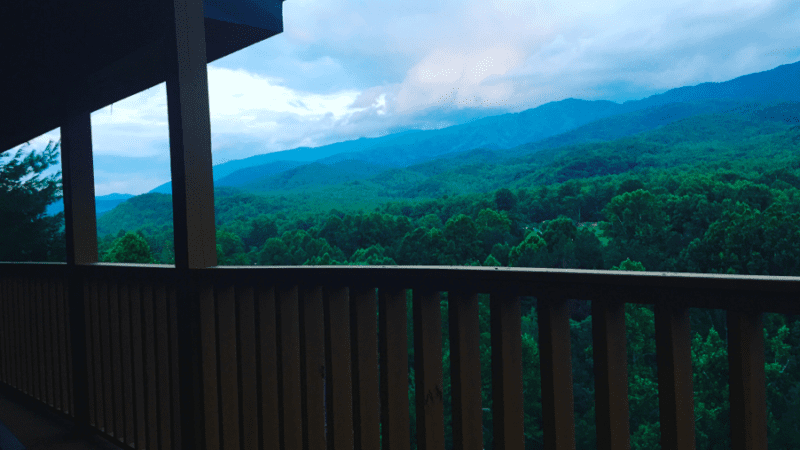 View from the third-floor balcony of our rental cabin, near the gateway to Great Smoky Mountains National Park. Photo by Big Family TravelingMom. 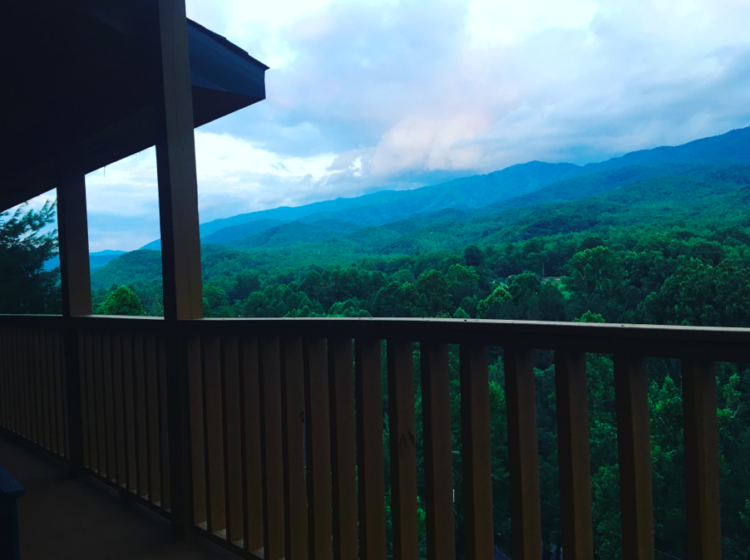 Upon our arrival at our hilltop rental property, the view from each of the cabin’s three balconies literally took our breath away. I had viewed the photos online, of course, but nothing compared to watching the clouds turn pink as the sun set over the Smokies. I could have stayed seated on the balcony swing, breathing in the Tennessee mountain air, for days. The kids, however, wanted to climb down the hill and explore! Our boys were fast friends, pairing off to talk during a walk near our cabin. Photo by Big Family TravelingMom. 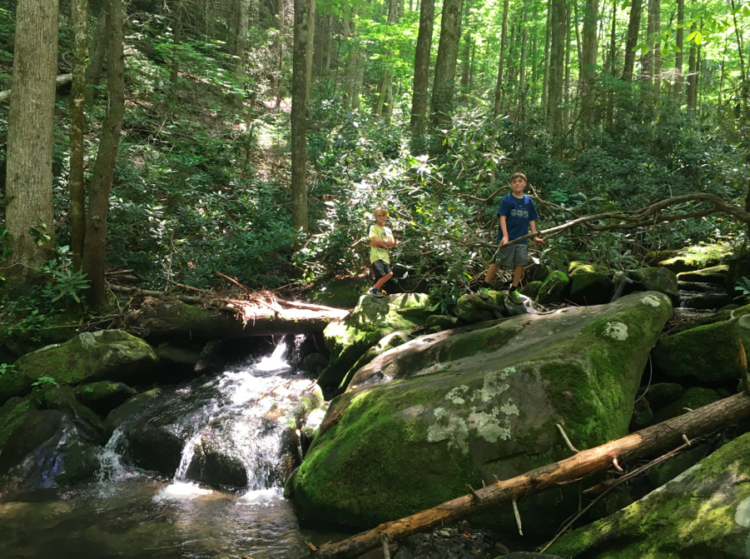 We could hear a brook babbling somewhere down below, so both families struck out together on an evening hike to check out the area around our cabin. The kids immediately took off together, as if they’d always been friends. I was surprised to discover that vacation with seven children could actually be quite relaxing. Enjoying a game of checkers in the cabin with a new friend. Photo by Big Family TravelingMom. Our first full day of vacation was dedicated to soaking up all the beauty of the Great Smoky Mountains. We packed a picnic and struck out to drive the nearby Roaring Fork Motor Nature Trail. 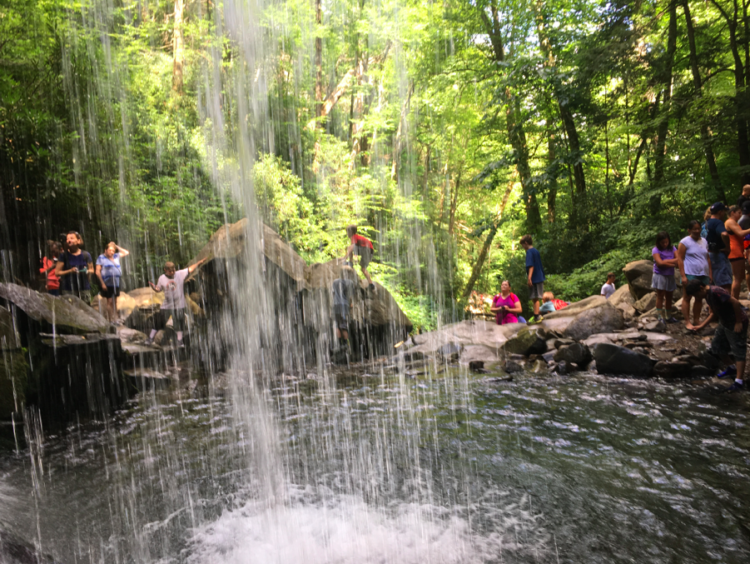 This 5 1/2-mile trail took us on a scenic tour of lush landscape, mountain stream views and historic cabins, ultimately leading to the trailhead for Grotto Falls. 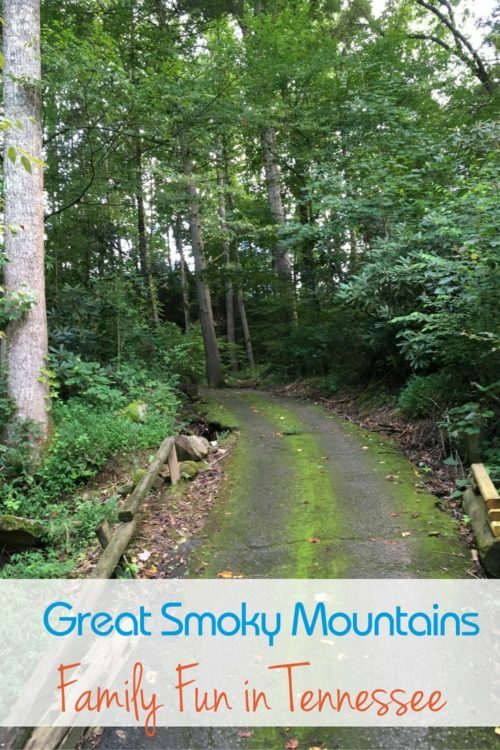 Roaring Fork Nature Motor Trail in Great Smoky Mountains National Park. Photo by Heidi Gollub, Big Family TravelingMom. 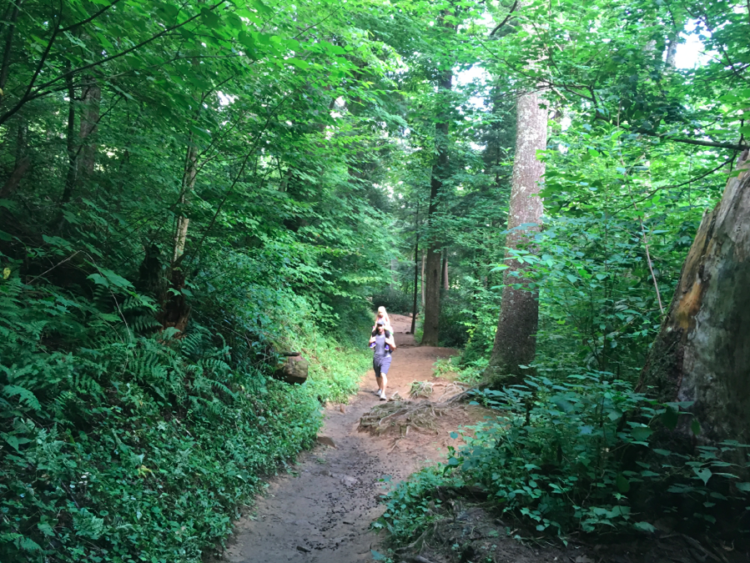 The 3-mile roundtrip hike to Grotto Falls was the highlight of our day. The weather was perfect and the trail was not crowded, with plenty of pretty nooks to rest and snack. The trail to Grotto Falls in Great Smoky Mountains National Park. Photo by Heidi Gollub, Big Family TravelingMom. The reward at the end of our hike was walking behind Grotto Falls, a 25-foot waterfall. It was a refreshing way to cool off before heading back down the trail for lunch. Behind Grotto Falls. Photo by Heidi Gollub, Big Family TravelingMom. Roaring Fork Motor Nature Trail has an abundance of parking spots along the route, so it was easy to find an ideal place to picnic. 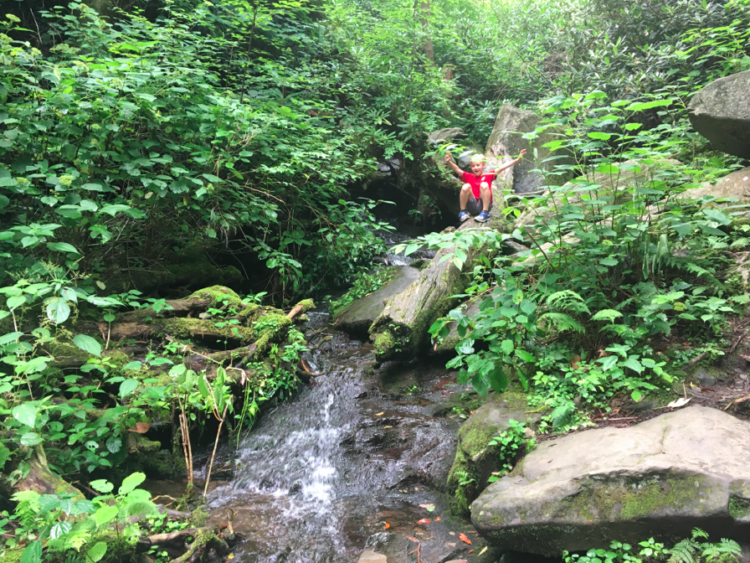 Not far from the Grotto Falls trailhead, we stopped near a mountain stream to eat and let the kids strike out into nature. With waterfalls, rocks, and sticks, it was little boy paradise. Picnicking in Great Smoky Mountains National Park. Photo by Heidi Gollub, Big Family TravelingMom. After lunch, we drove to Sugarlands Visitors Center, to use restrooms and get a recommendation for our next kid-friendly escapade. 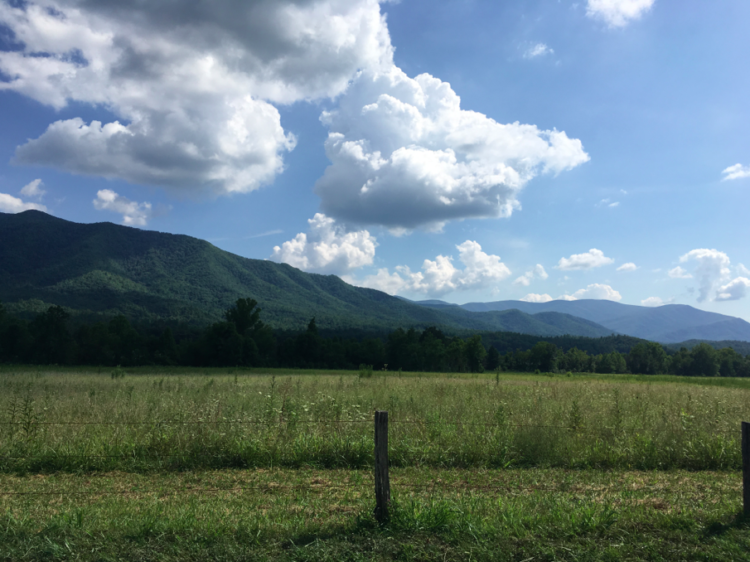 A ranger recommended Cades Cove Loop, an 11-mile scenic mountain drive, so we embarked on what turned out to be a several hour journey (most of which was time spent in the car, unfortunately). In hindsight, I wish we had instead opted to take the .4-mile roundtrip hike to Cataract Falls, which starts at the Visitors Center. It would have been a better outdoor adventure to share with friends. Cades Cove Loop. Photo by Heidi Gollub, Big Family TravelingMom. 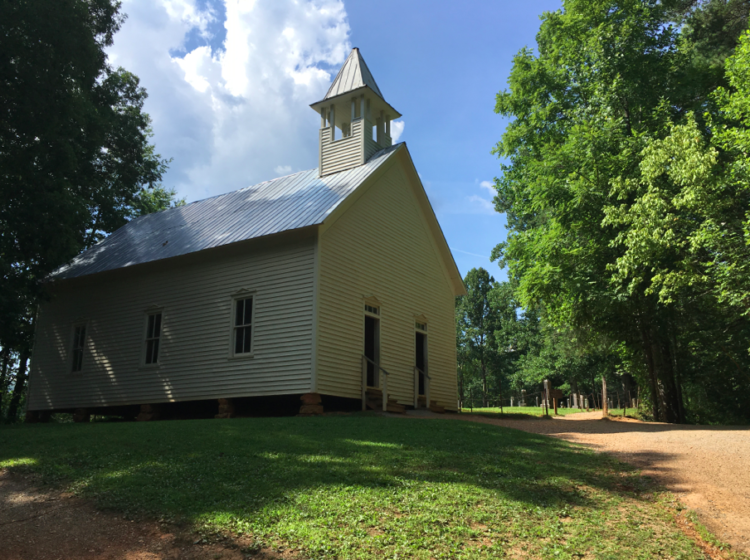 If you enjoy historic sites, and have time to hop in and out of the car, Cades Cove Loop is a lovely drive featuring a variety of structures from the 1800s. Just bear in mind that 11 miles can take a very long time to drive if you end up behind cars going five miles per hour (and the road is one way, so once you’re on the loop you’re stuck, unless you are clever and take one of the two poorly marked cut-across gravel roads). Our favorite part of this secondary adventure was actually the drive from the Visitors Center to the Loop, along Little River Road. We stopped at several points to get our feet wet in the river, and practice skipping stones. The second day of our trip was spent entirely in the cabin, enjoying each other’s company. The kids teamed up to tackle all of the game room’s attractions, from video games to pool, and relaxed in the hot tub. The adults lazed about on the balconies, starting the day with coffee and view, and ending the day with wine and a view. With a full kitchen in the cabin, we had no need to leave for anything. Enjoying morning coffee. Photo by Heidi Gollub, Big Family TravelingMom. The time passed all too quickly, and we left wishing we had booked the cabin for a full week, instead of a mere two nights. We could easily have filled more days with eating and playing and laughing together! Cabin life. 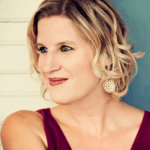 Photos by Heidi Gollub, Big Family TravelingMom. To start planning your dream vacation with HomeAway.com, head over to the site and browse photos of rental properties in your favorite destinations. You are bound to discover more perfect places to lay your head than you quite know what to do with. I recommend downloading the free HomeAway app, to make communicating with property owners, and your co-vacationers, a breeze. The app helps you to easily plan your trip jointly with others, even offering the option to split expenses. 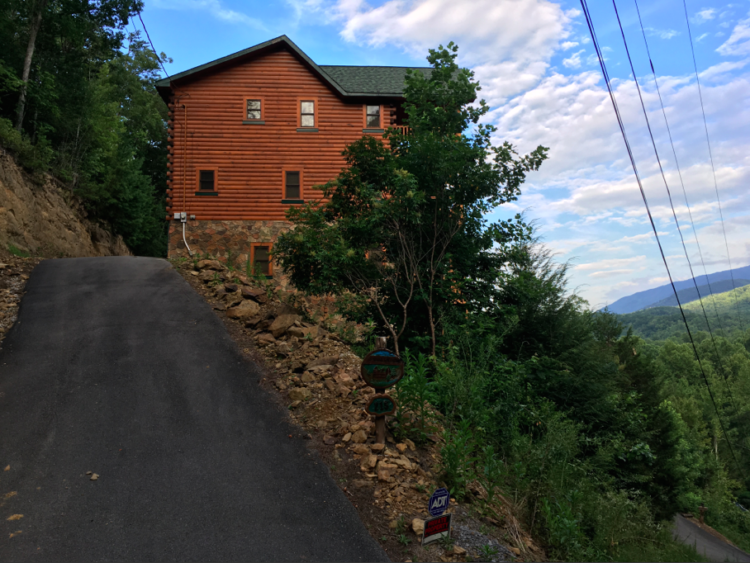 If you’re interested in the 5-star rated cabin where we stayed in Gatlinburg, you can find it here. Happy planning!